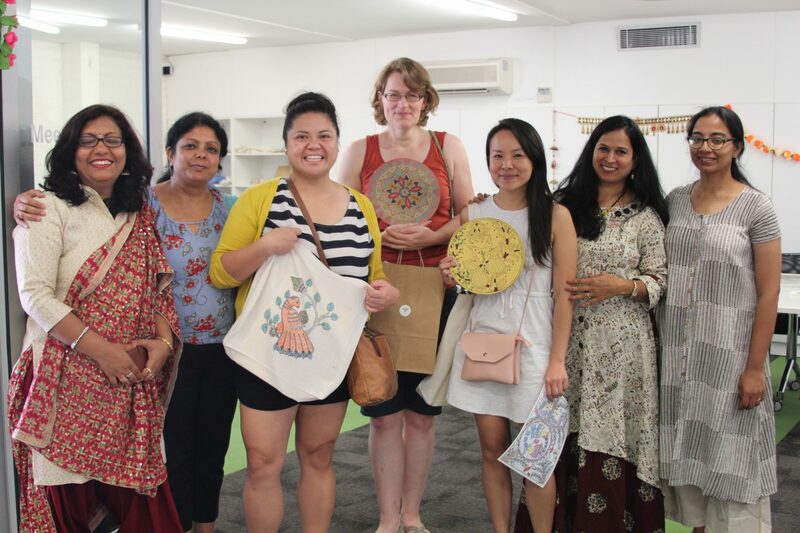 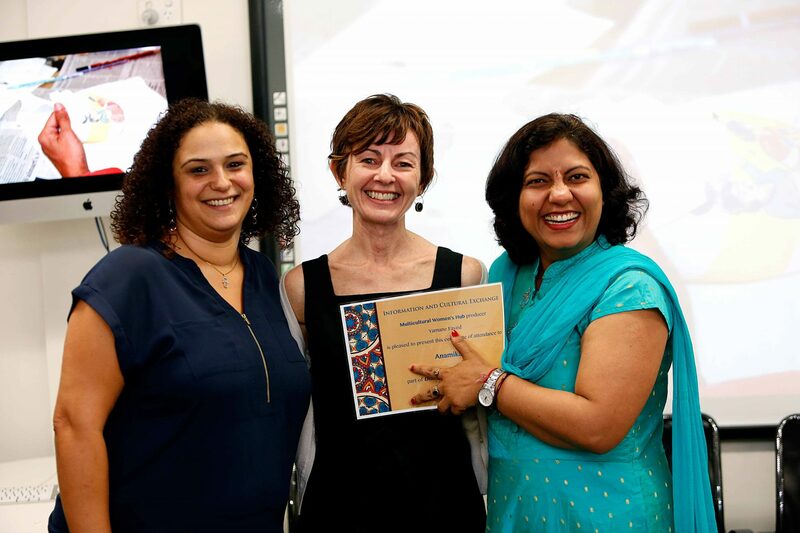 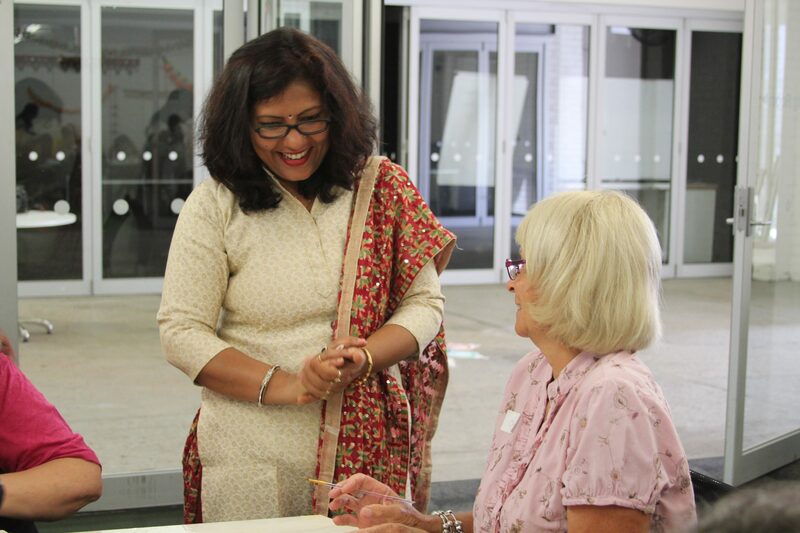 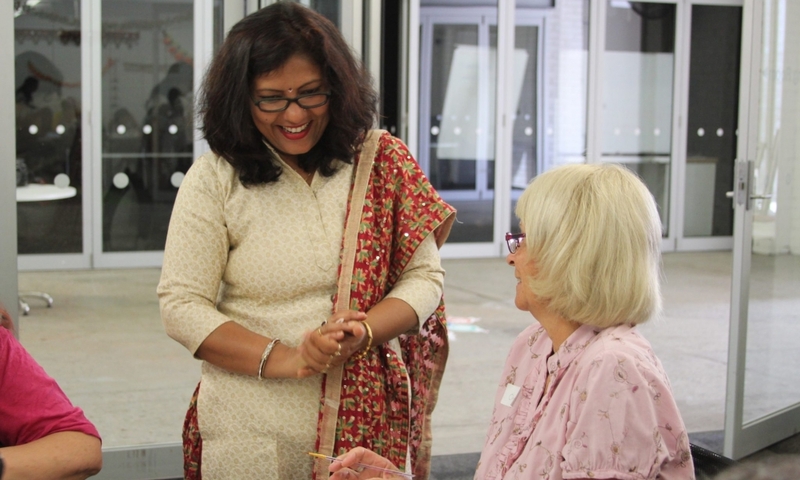 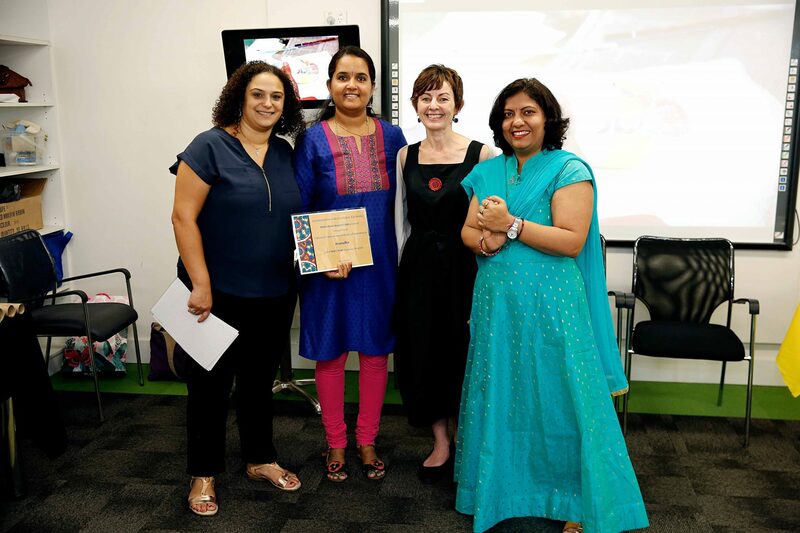 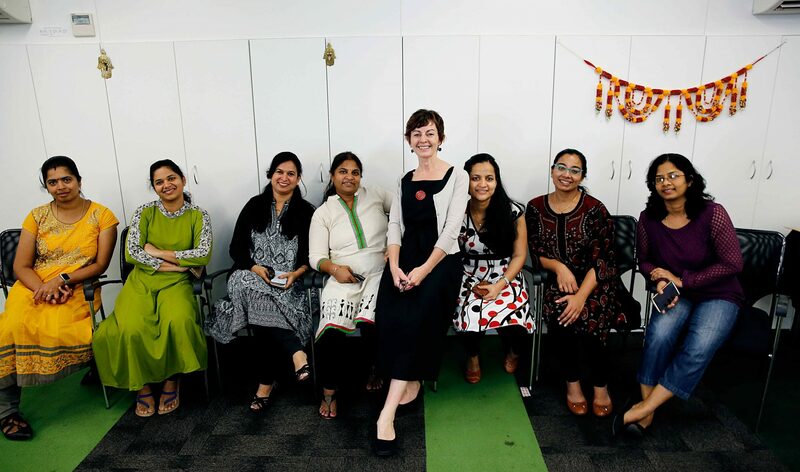 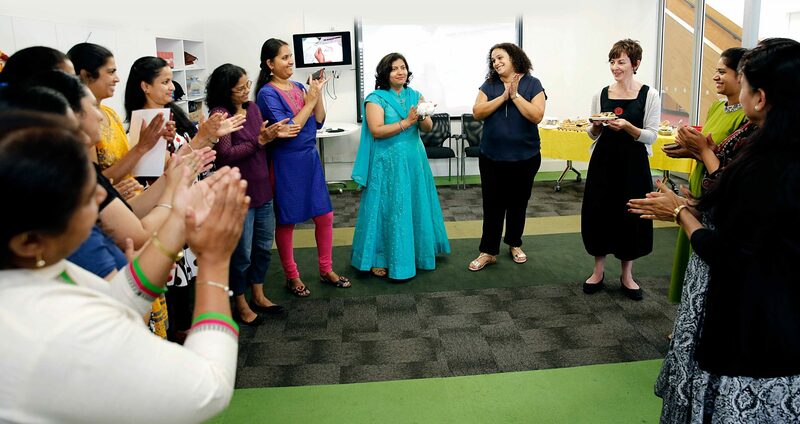 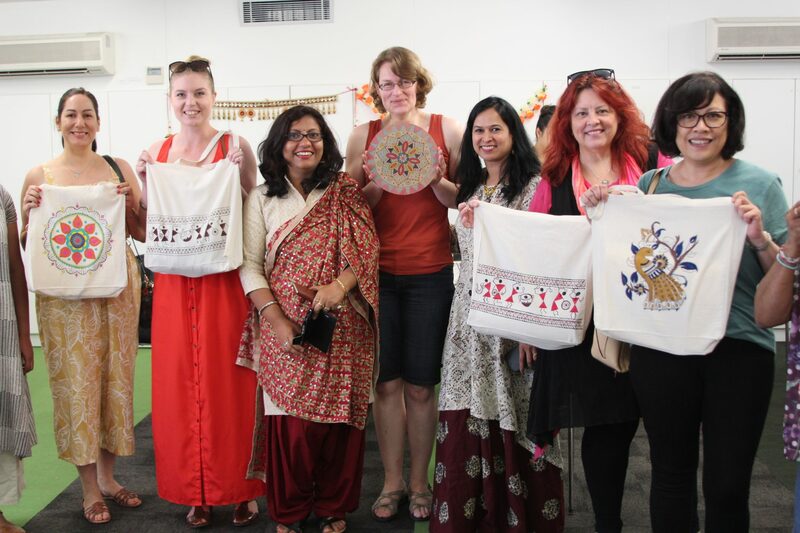 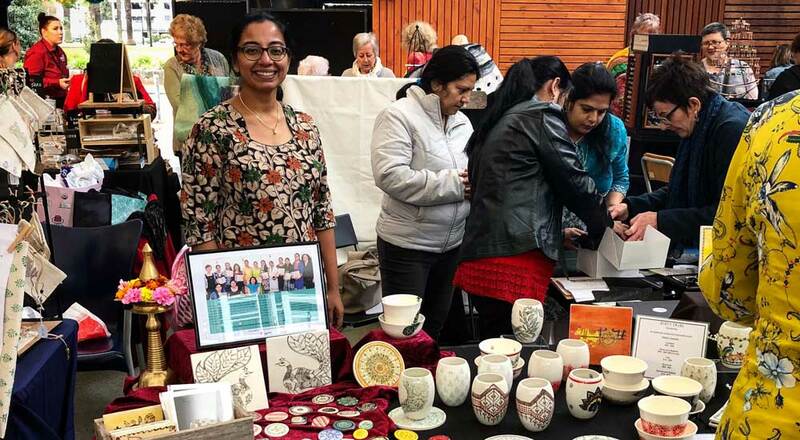 Didi’s Tribe (meaning Sister’s Tribe) is a creative product and social enterprise development program for Multicultural women in Western Sydney. 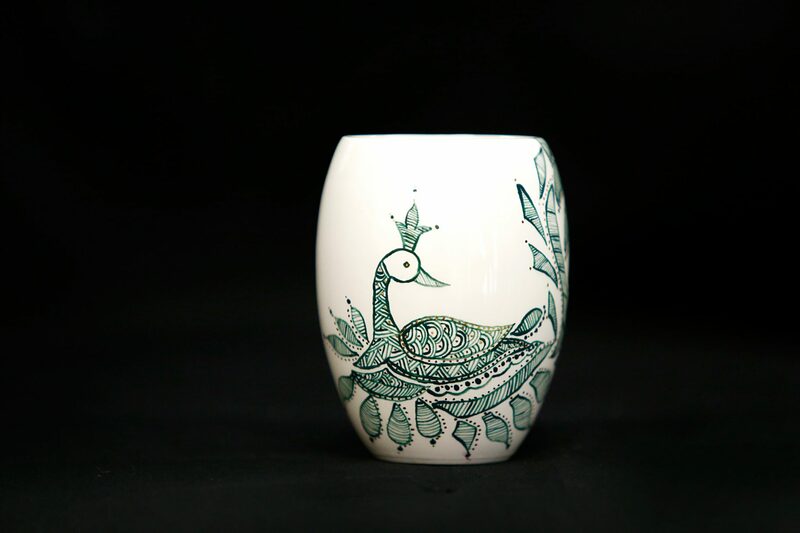 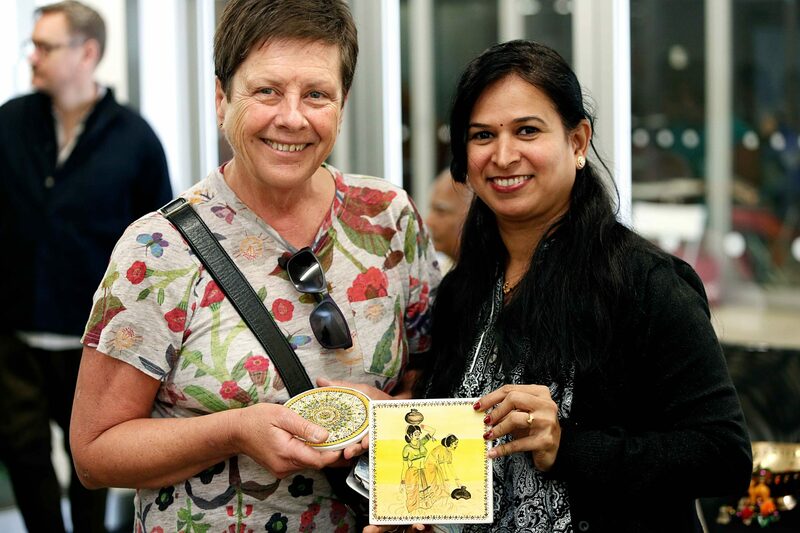 Didi’s Tribe builds the capacity of participants to create and market bespoke ceramic homewares designed in Indian tribal art forms. 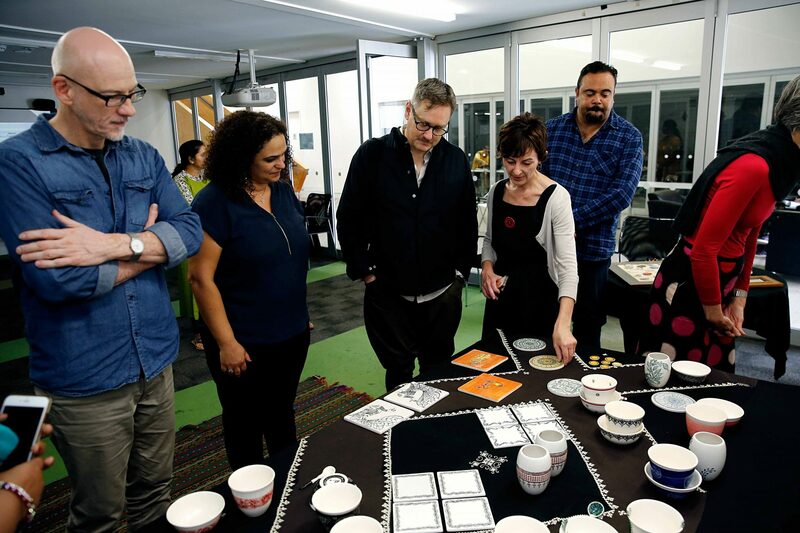 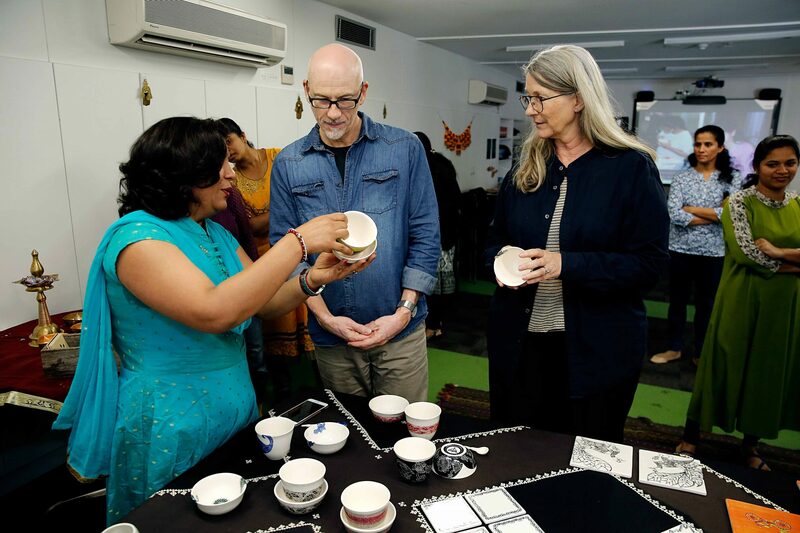 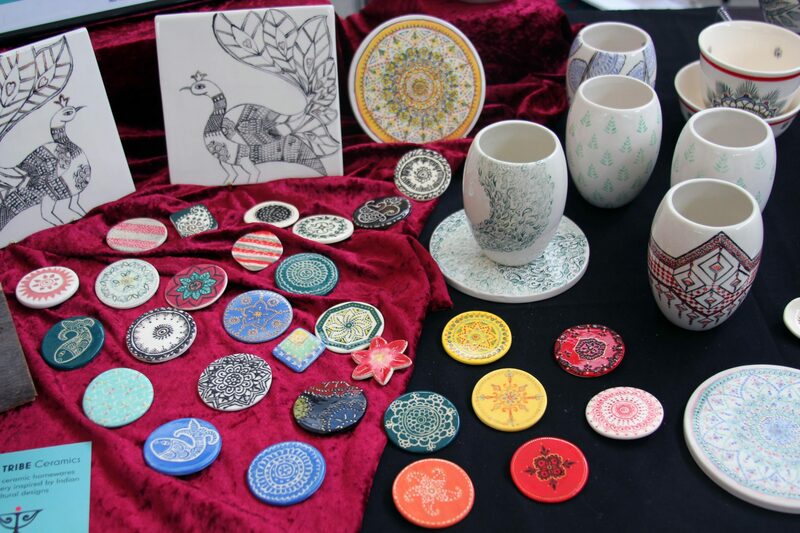 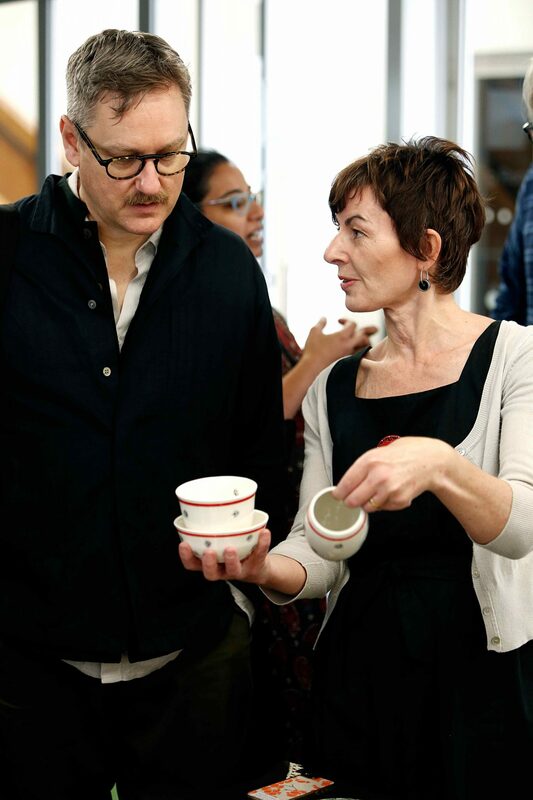 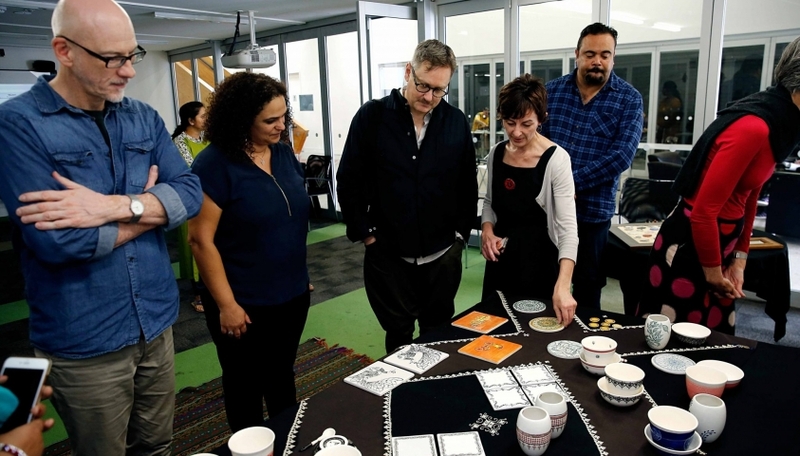 Participants learn a range of skills including ceramic design transfer, branding and marketing, managing cash flow, business planning and delivery. 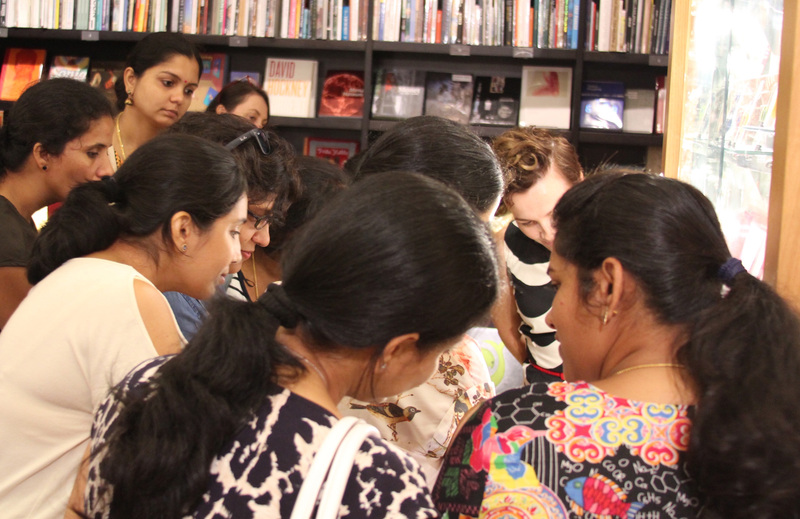 Participants are engaged through workshops, excursions and mentorship. 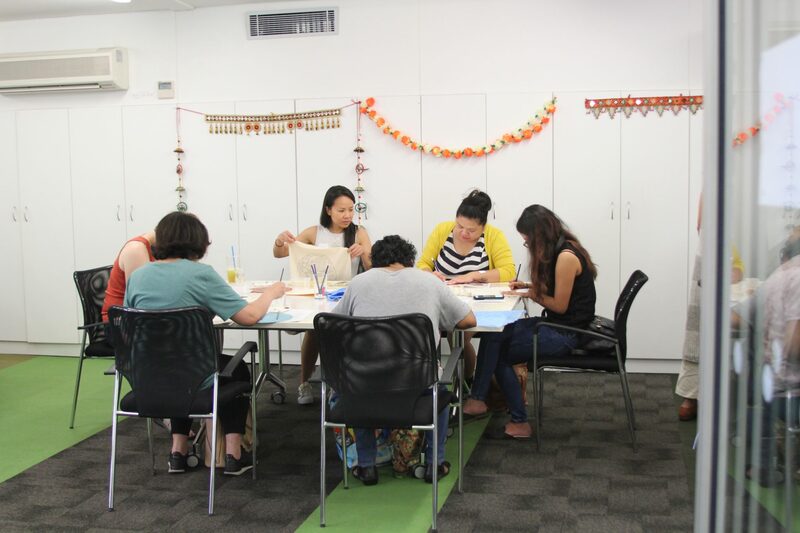 Didi’s Tribe is held on Wednesday mornings (term dates) and is now branching into further business enterprise development. 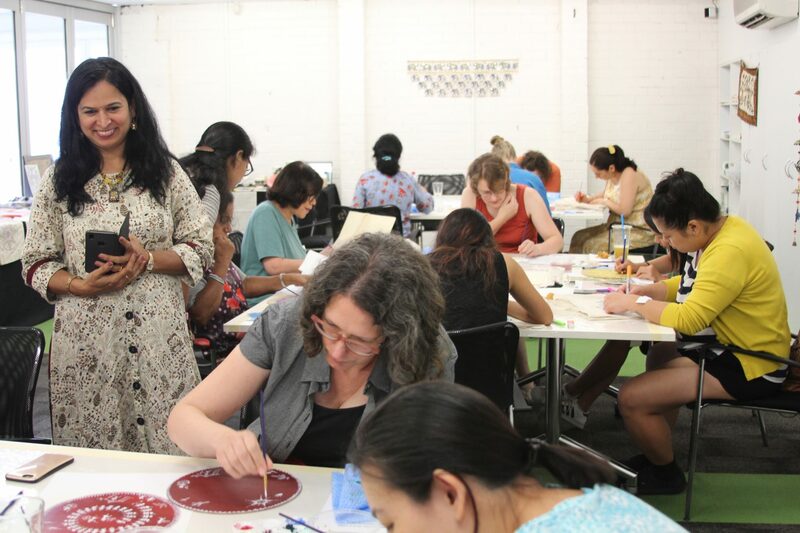 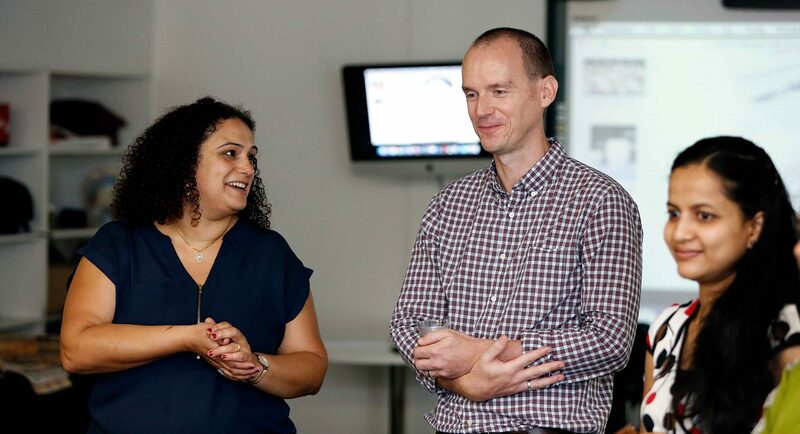 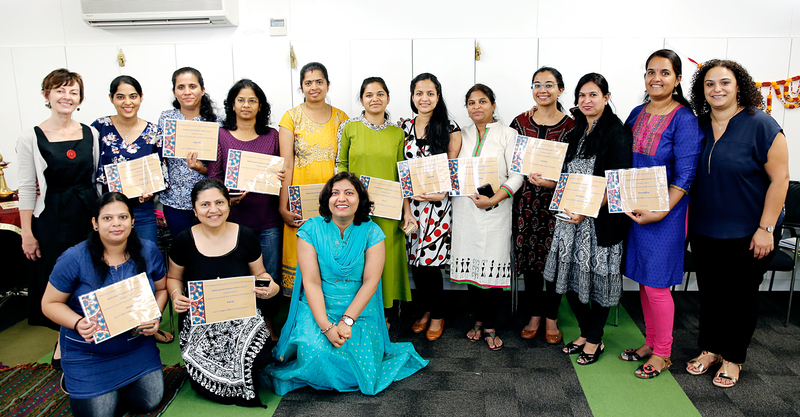 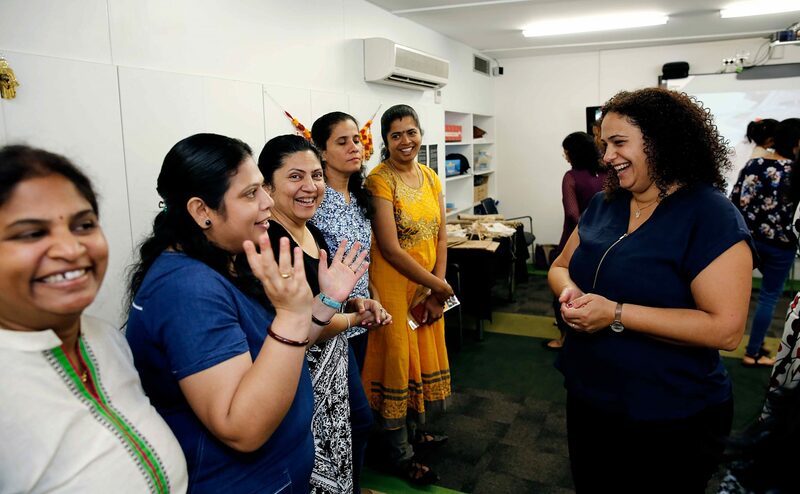 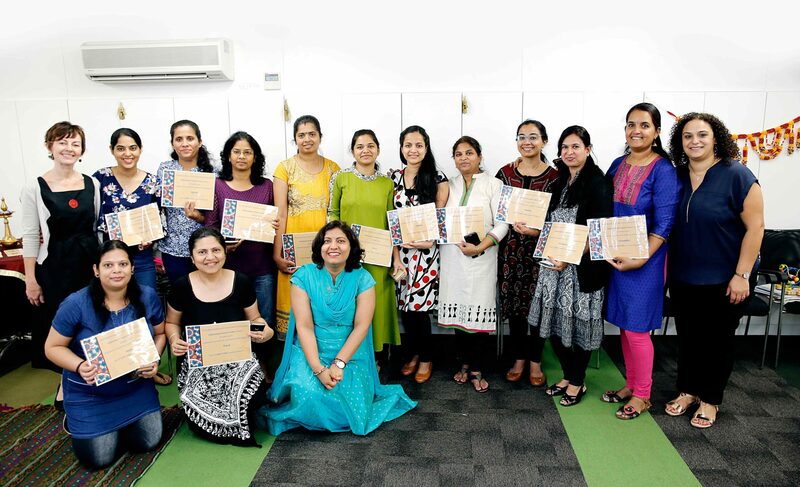 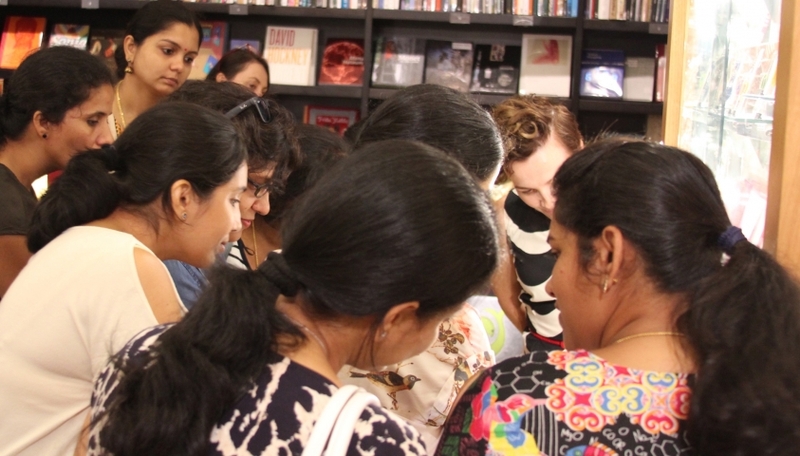 Smitha, Shubhangi and Anamika ran a special three-hour workshop for Sydney Design Festival in March 2019. 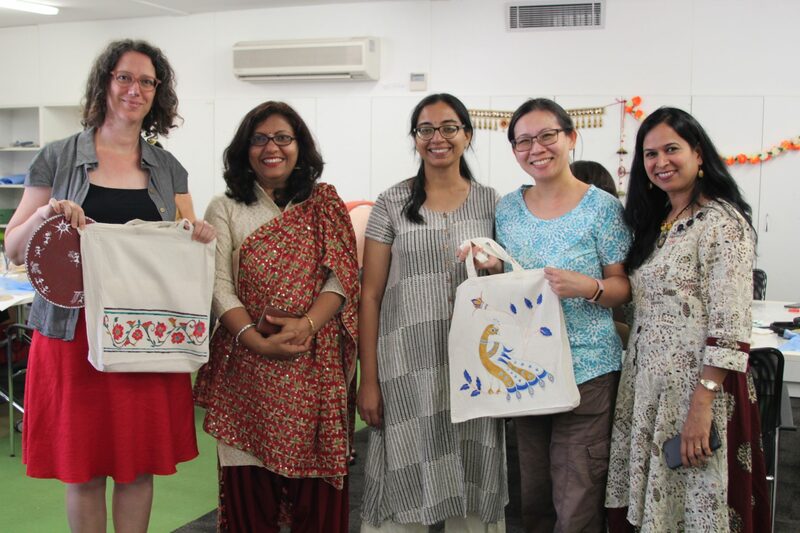 The ladies from Didi’s Tribe guided participants through designing and painting their very own calico bags, while sharing knowledge about some of India’s traditional designs and patterns. 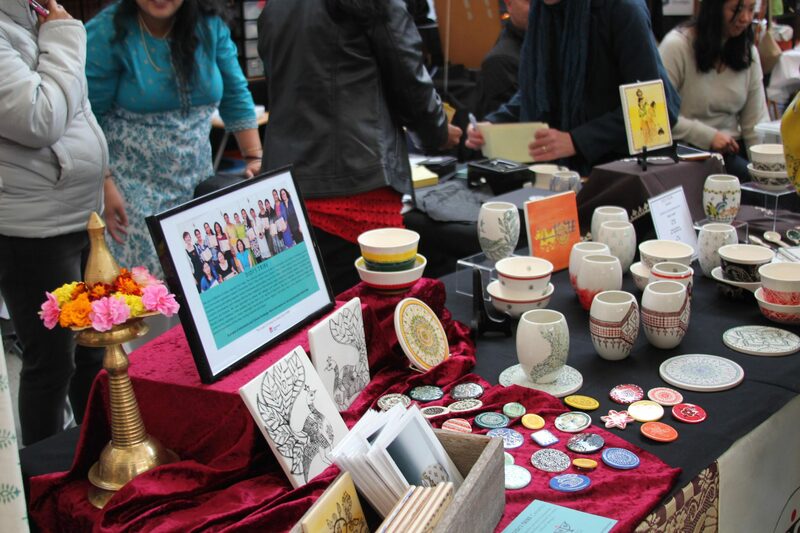 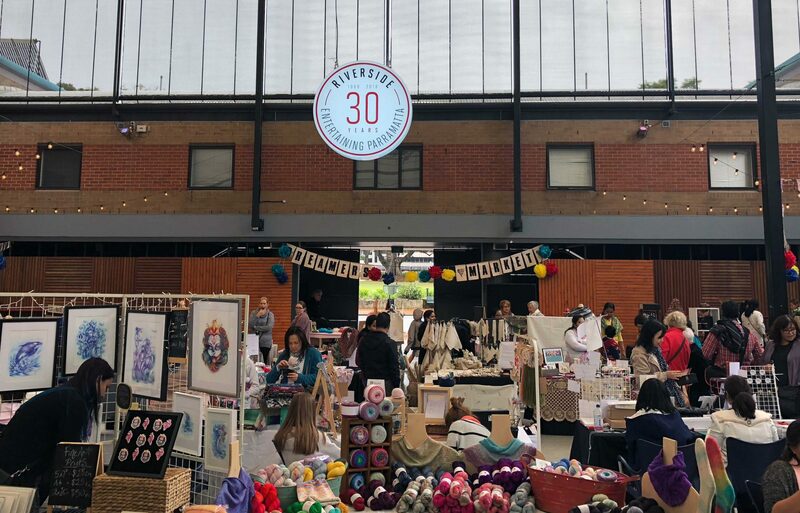 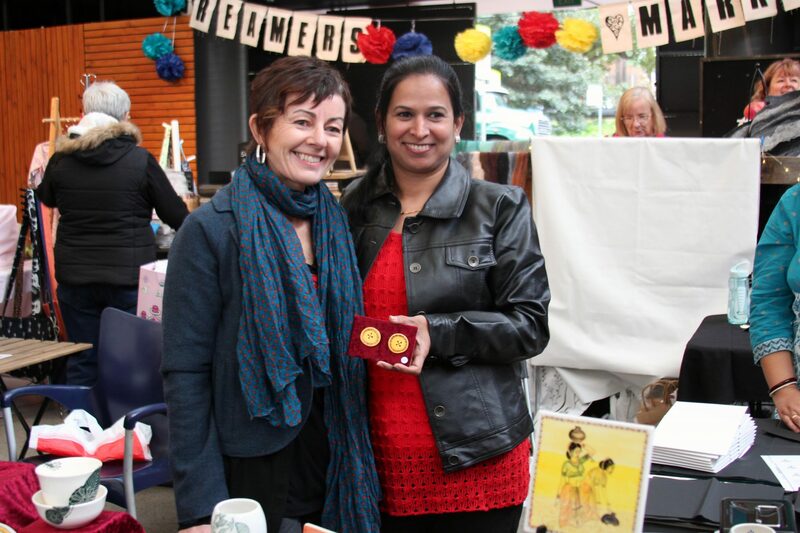 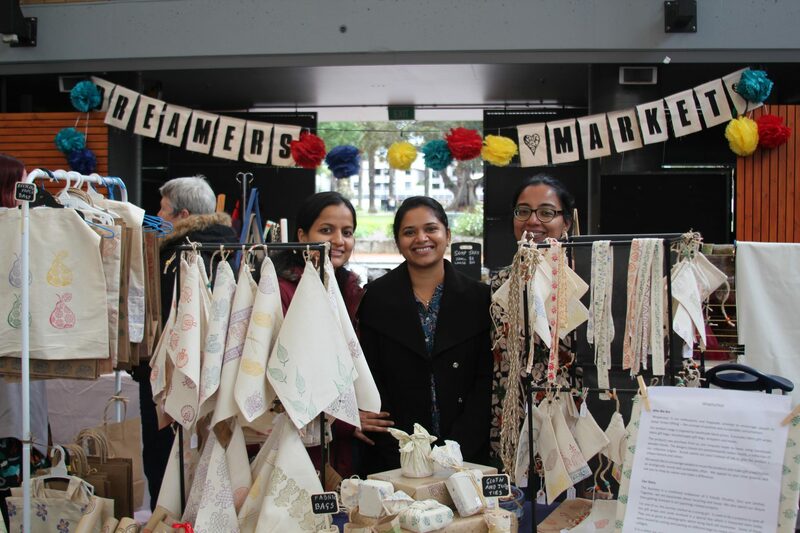 Didi’s Tribe featured at the Dreamers Fall Marketin Parramatta during May. 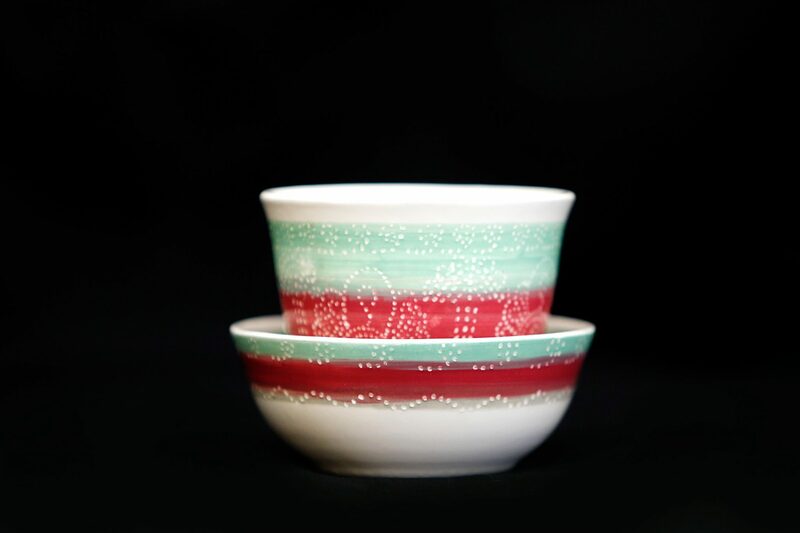 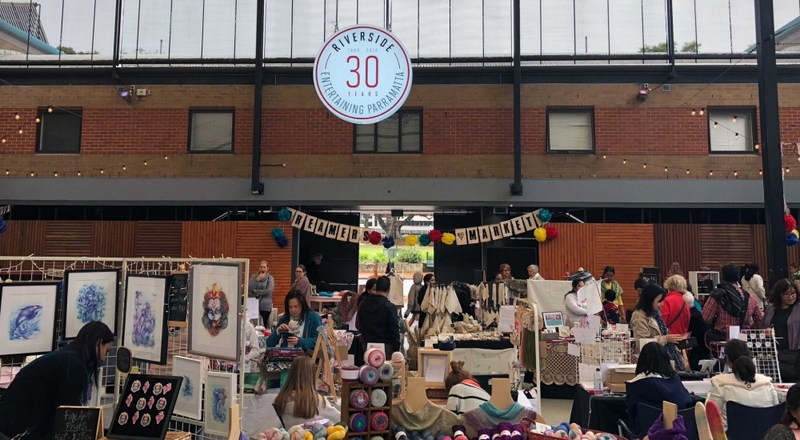 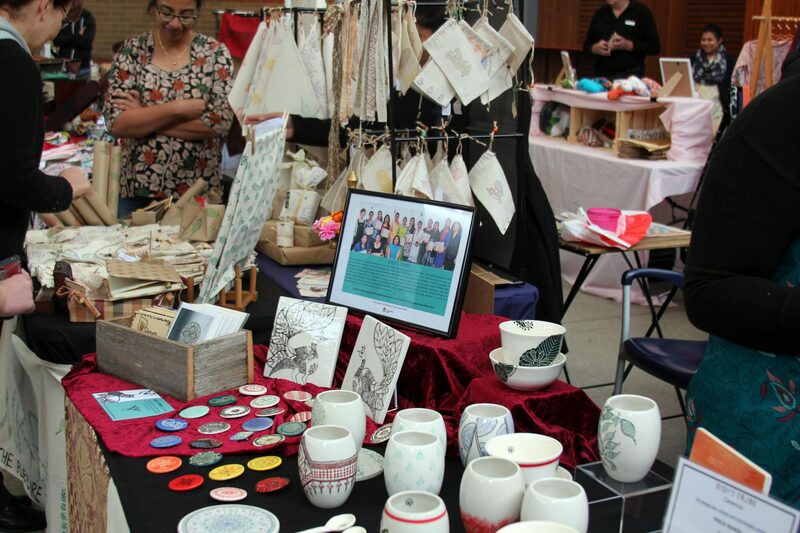 The Dreamers Market is dedicated to showcasing handmade, one-of-a-kind works. 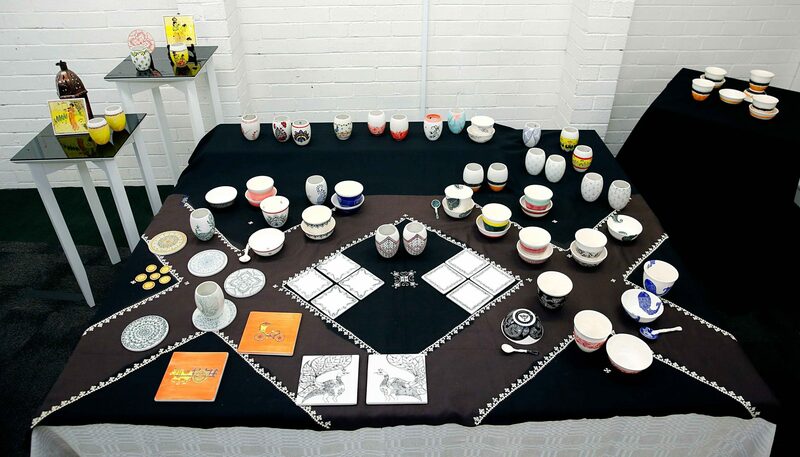 Works available for purchase included: beakers, bowls, tumblers, brooches, spoons and tiles.. and it’s just in time for Mother’s Day! 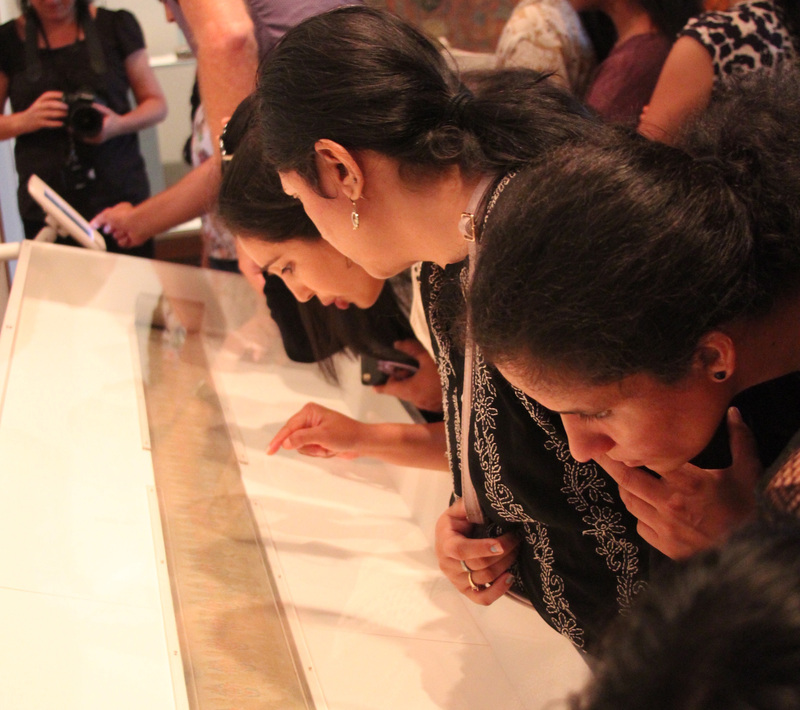 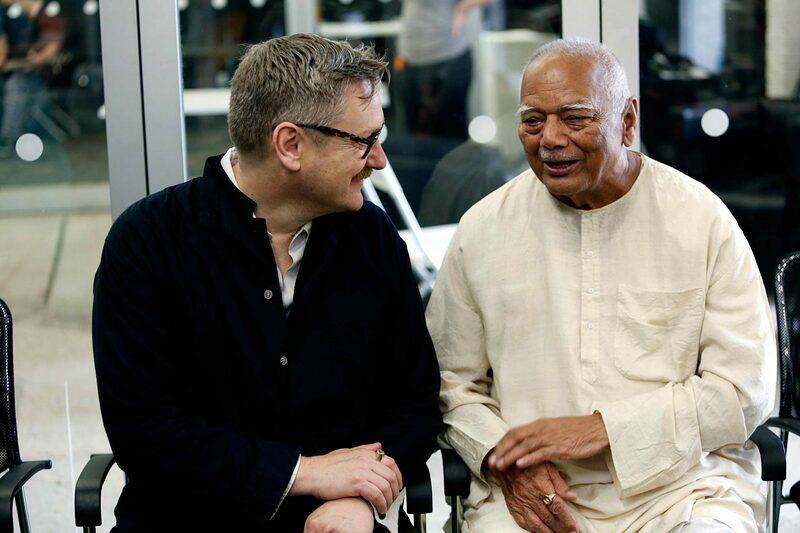 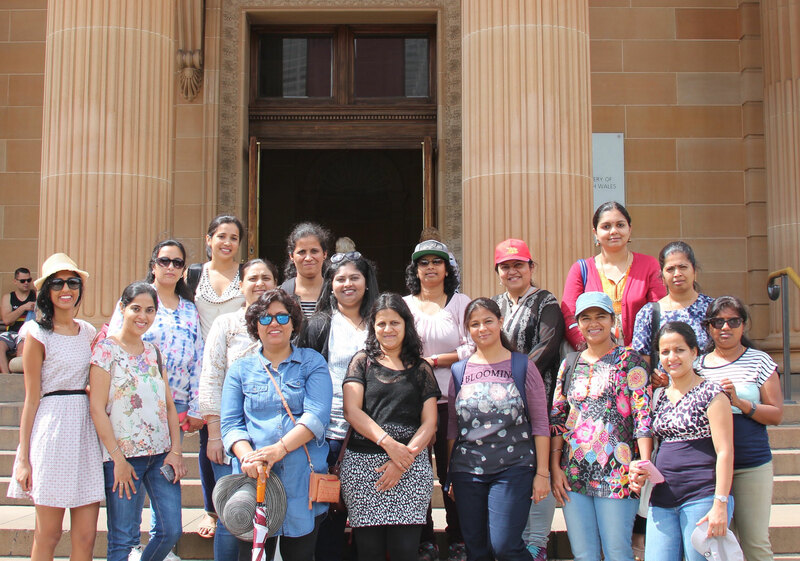 Didi’s Tribe visited the Art Gallery of NSW where the group was given an exclusive tour of the Beyond Words exhibition, followed by an insightful session with the Gallery Shop manager. 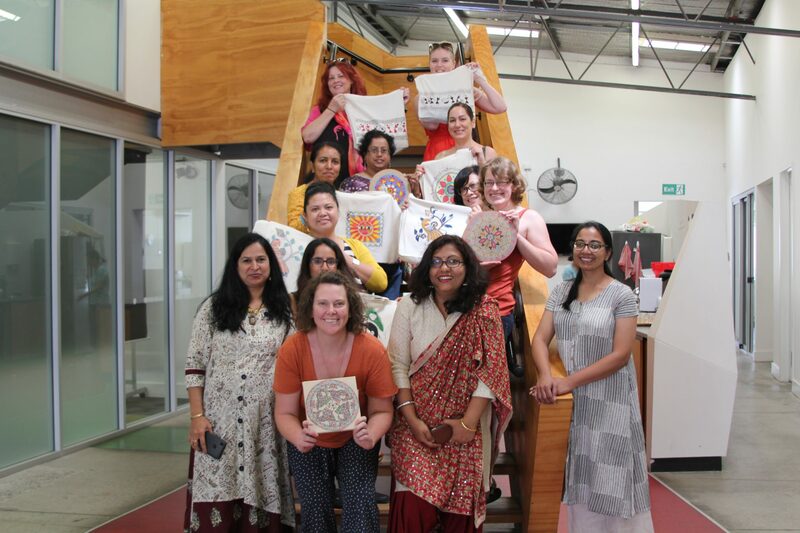 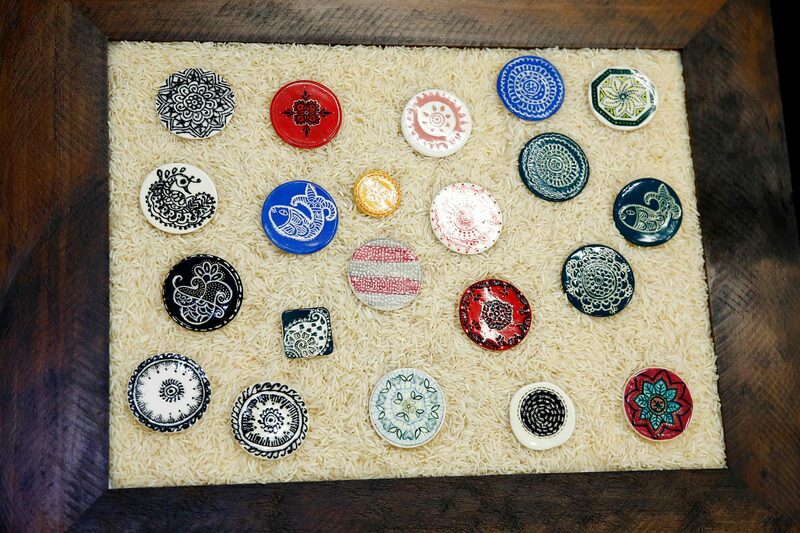 Didi’s Tribe celebrated the end of year with an amazing ceramics presentation! 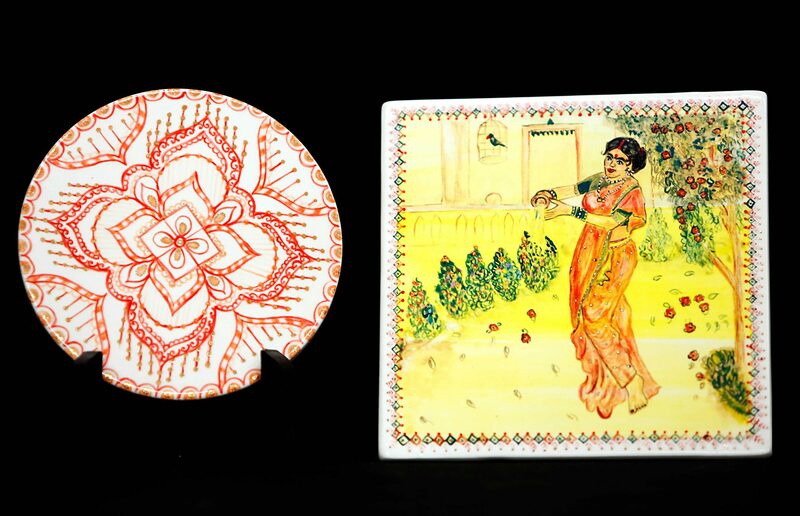 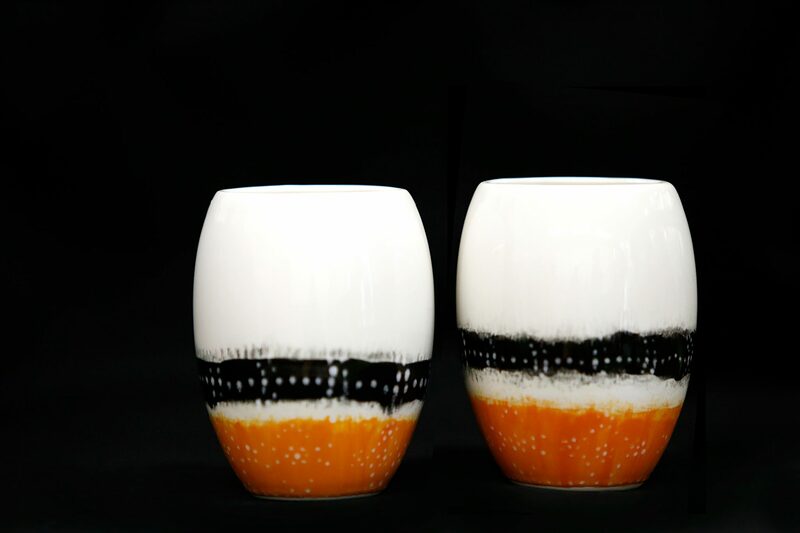 The bespoke ceramics were created over the course of 2017, inspired by traditional Indian design. 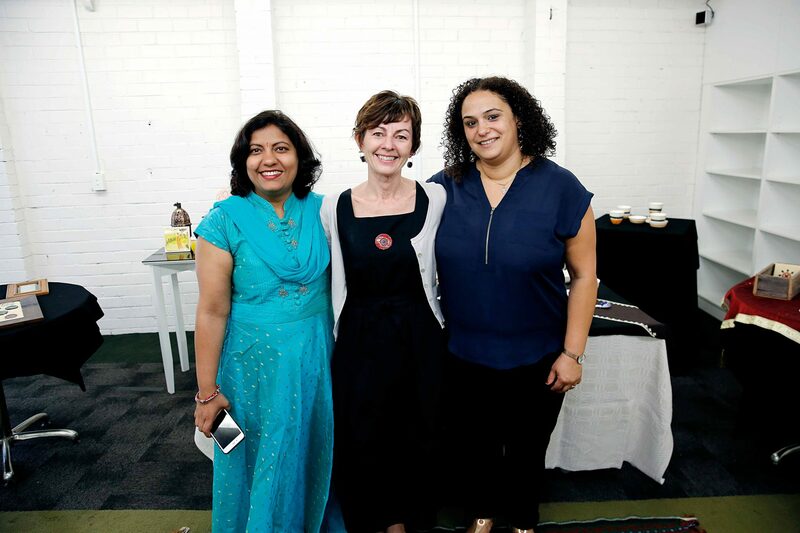 Thanks to the incredibly talented participants, the artists Anamika & Nicole and Program Producer Yamane for all their hard work and dedication. 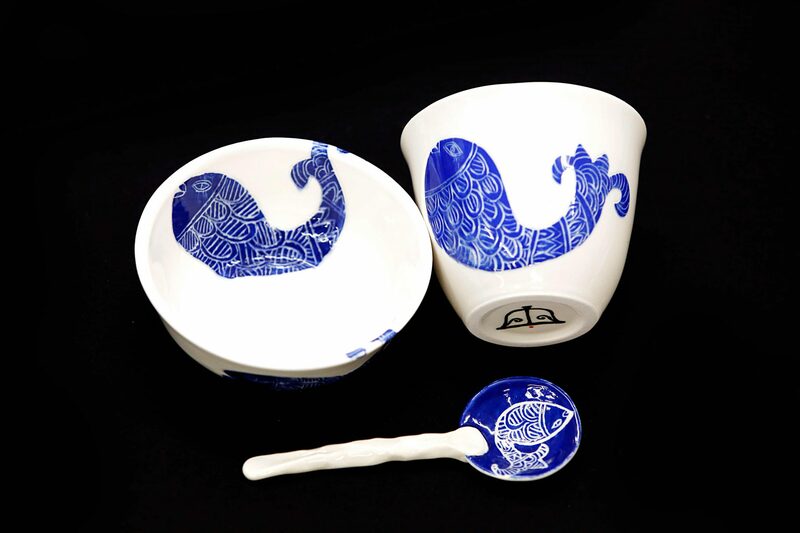 These ceramics will be available for purchase in 2018.